Highlights: The girls had a solid performance overall. Many girls performed new skills on floor and had strong vaults. Francesca Paszkeicz took first on all around, vault, bars beam and floor vs Juanita. 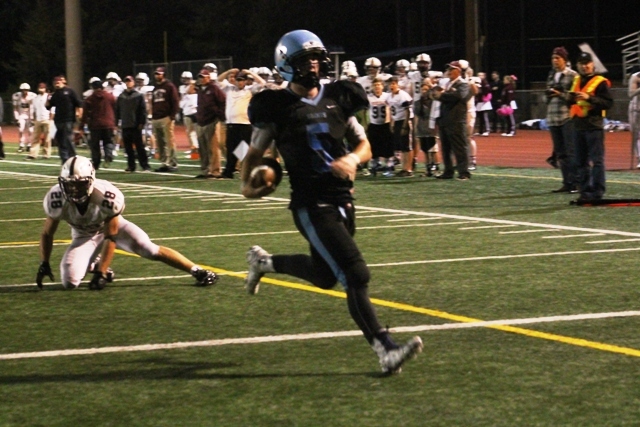 Oct 10, 2015 After giving up 27 first-half points to the Mercer Island offense Friday night, Interlake quarterback Duncan Varela knew his team’s offense would have to step up if the Saints wanted to end their three-game losing skid. “Our defense wasn’t stopping them, so we needed to keep going down the field and scoring,” he said. Varela certainly did his part, throwing for four touchdowns and rushing for two more. The Saints used a 16-point third quarter to overcome an early deficit and beat the Islanders 48-41 Friday night at Interlake High School. It was the kind of complete-game performance the Saints hadn't seen since their week 2 victory over Ingraham on Sept. 11. Mercer Island appeared to be in control in the first half, finding the end zone on the game’s opening drive and scoring three unanswered touchdowns before the Saints began a 24-point swing that spanned just over a quarter of play. A 14-yard touchdown pass from Mercer Island QB Griffin Kane to Michael Litzow gave the Islanders a 27-18 advantage with 1:02 left in the second quarter. But that was enough time for Varela to march the Saints from their own 35-yard line into Mercer Island territory. With 14 seconds left in the half, Varela found De’Jhion Parrish on a 38-yard touchdown bomb. The Interlake QB kept the ball on the ensuing 2-point conversion to cut the deficit to 27-26 at the half. Mercer Island was unsuccessful with an onside kick attempt to open the second half, and three plays later, Varela made them pay with a 48-yard touchdown run. Varela once again ran for the 2-point conversion to put the Saints up 34-27. Interlake ended Mercer Island’s next drive when Parrish intercepted Kane on third-and-long in Saints territory. The Islanders forced the Saints to punt from their own end zone, but couldn’t hold on to the reception, as Interlake recovered and took over at their own 26-yard line. Varela led the Saints on an 11-play drive, culminating with Parrish breaking into the end zone from 12 yards out. On the ensuing 2-point conversion attempt, Varela shook off tacklers in the backfield to rush for his third 2-point conversion of the game, giving the Saints a 42-27 lead. Mercer Island would get a rushing touchdown from Kane and a 9-yard touchdown from Jordano Mark in the final period, but Varela’s 13-yard rushing touchdown with 6:28 to go, giving the Saints a 48-34 advantage, effectively put the game out of reach. Varela finished the game completing 19 of 23 passes, throwing for 224 yards along with his 4 touchdowns. On the ground, he accumulated 191 yards on 22 carries, reaching the end zone twice. Varela’s night overshadowed a similarly impressive outing by his Mercer Island counterpart. Kane finished with four rushing touchdowns for the Islanders and threw for one more. Friday’s game marked the first of the season for Parrish, a fifth-year senior who became eligible for Interlake the day before the game. He accounted for two touchdowns, one rushing and one receiving, as well as an interception while playing safety. Marie McHenry had 12 assists and Courtney Johnson added 12 digs in Interlake’s 3-0 (25-11, 25-13, 25-21) victory against the Juanita Bulldogs on Sept. 21. Interlake improved their overall record to 4-1 with the win. Nicole Kramer had nine aces, six kills and two blocks in the win as well. Congratulations to all our athletes who competed last week. There were a number of impressive performances and nail-biting finishes by Saint athletes at both the KingCo and JV KingCo Championships. 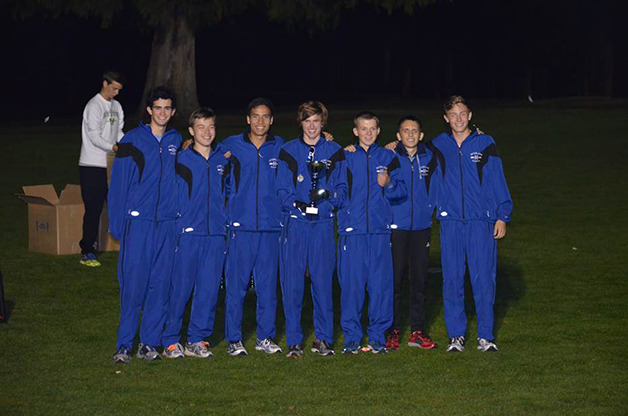 The top eight finishers at the KingCo Championships earned a spot on the podium with the top three places moving on to compete at Districts. Please see www.athletic.net for a complete list of the results. Congratulations to all our athletes on an amazing week! Good luck to the following athletes who will compete at Districts this Wednesday and Friday at the Southwest Athletic Complex in Seattle. Please see the schedule for District meet timeline. Be sure to come out to cheer on our athletes this week at Districts. Go Saints!